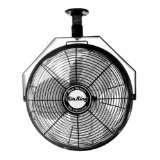 Looking for more information pertaining to Air King 1/6 Ceiling Mount Fans? 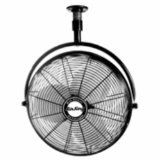 This page has detailed information and specifications related to Air King 1/6 Ceiling Mount Fans. This includes the 9320 and 9718 fan models from Air King. Dimensions (Length/Width/Height) 26.5" x 10.5" x 29.5" 24" x 10.5" x 28"